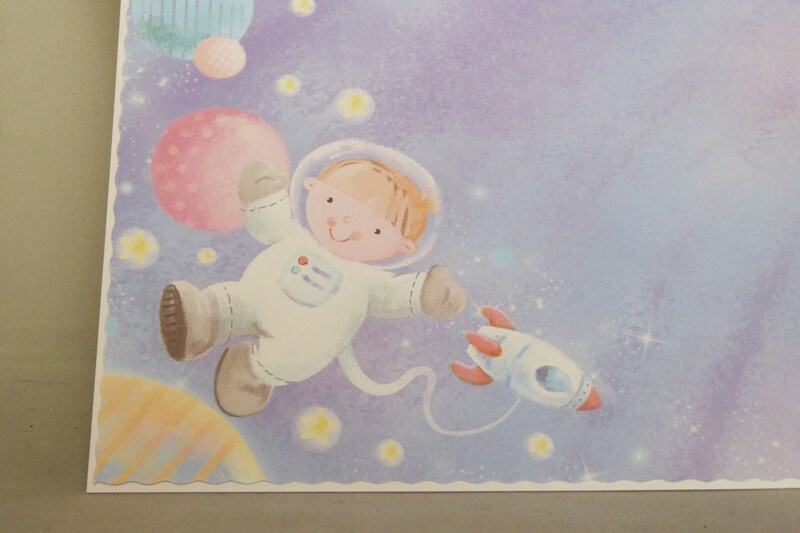 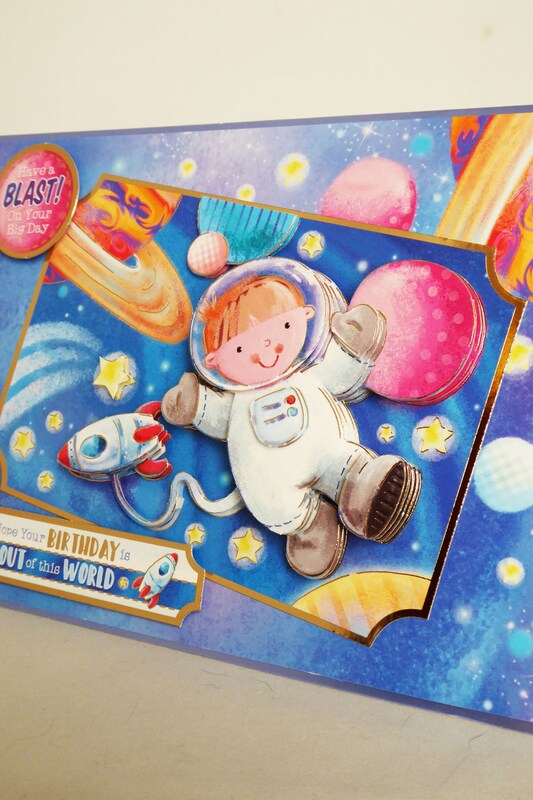 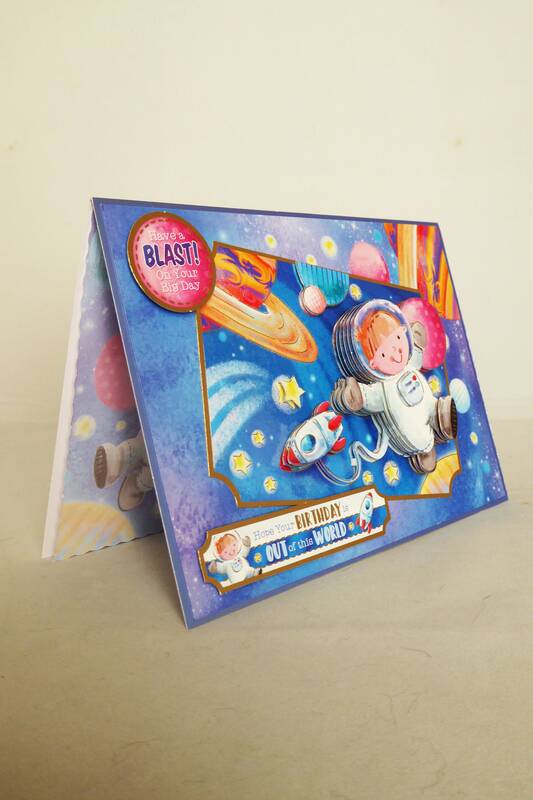 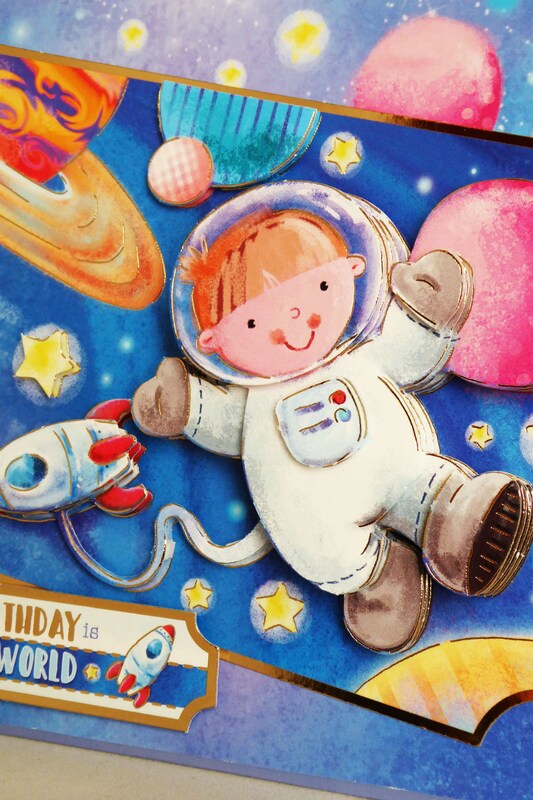 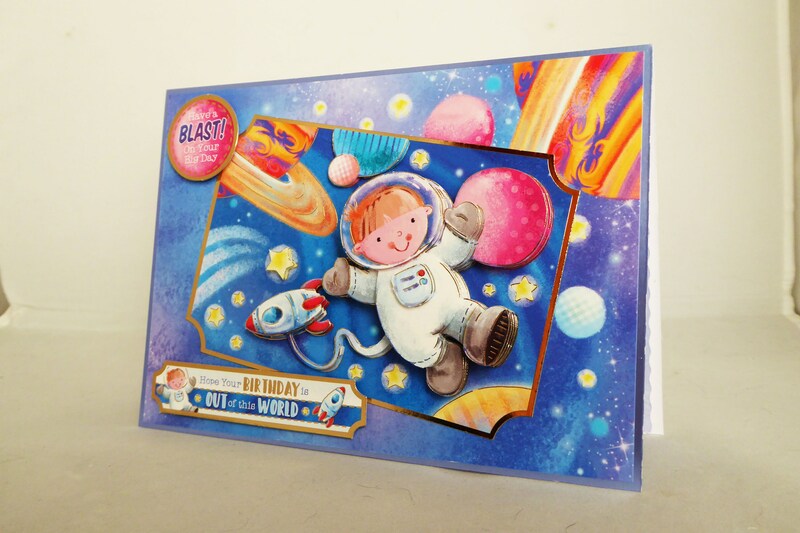 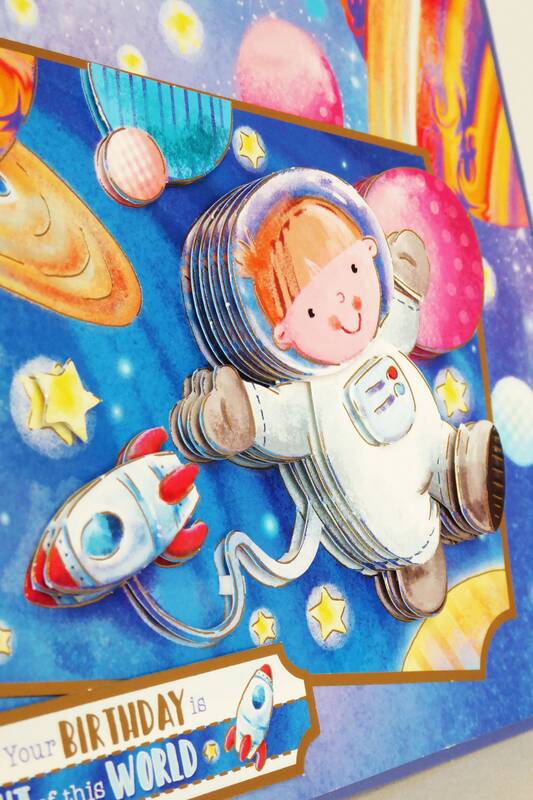 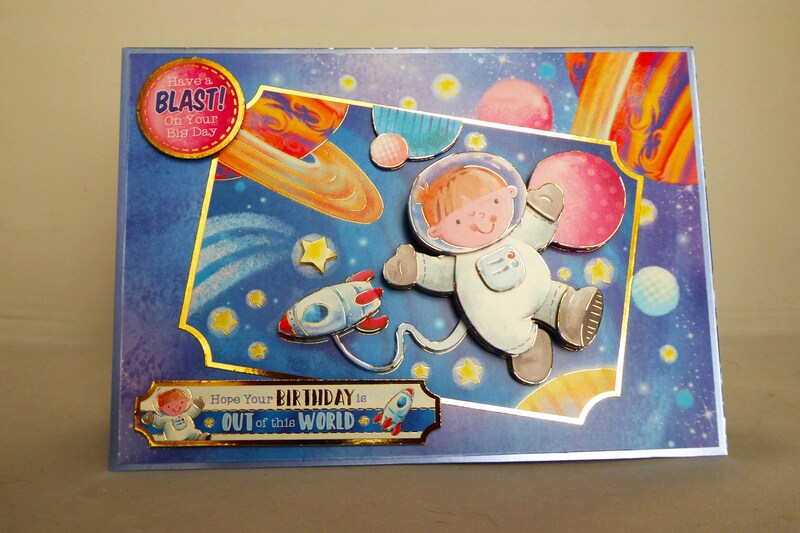 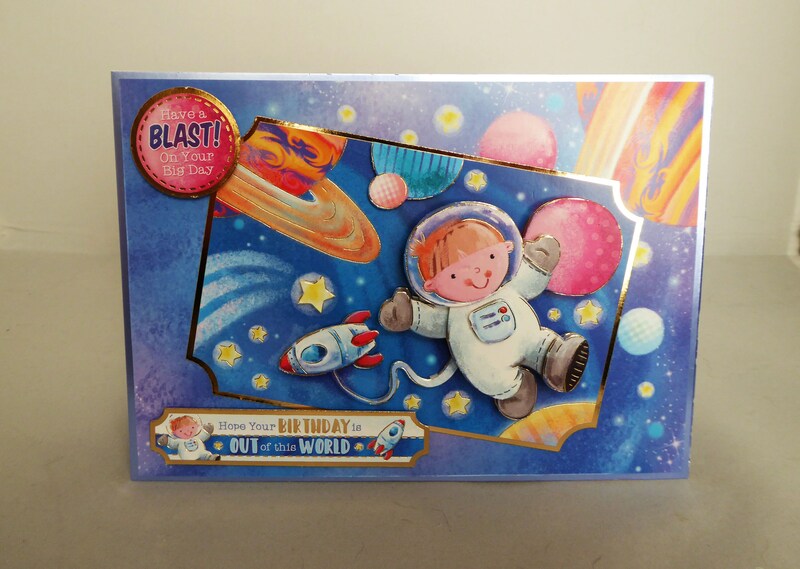 A 3 D decoupage card of a boy in space, bright and colourful, several layers of decoupage to give depth and dimention. 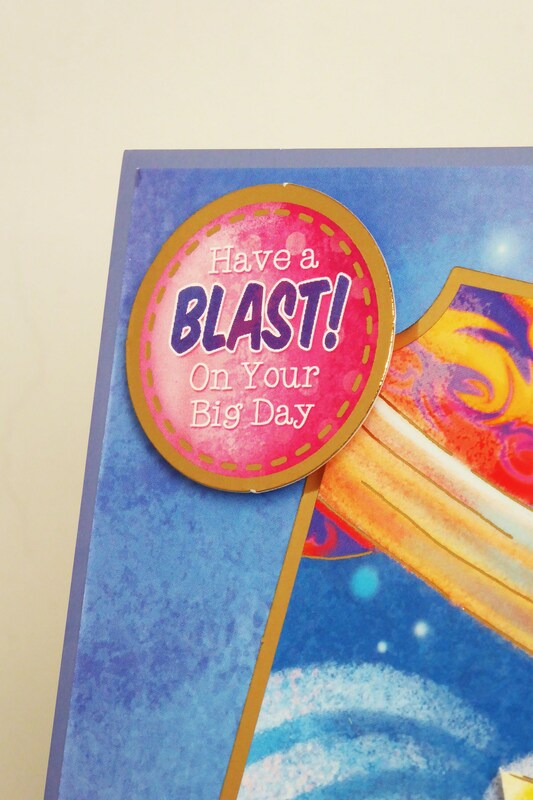 A sentiment at the top of the card which says, ' Have A Blast On Your Day'. 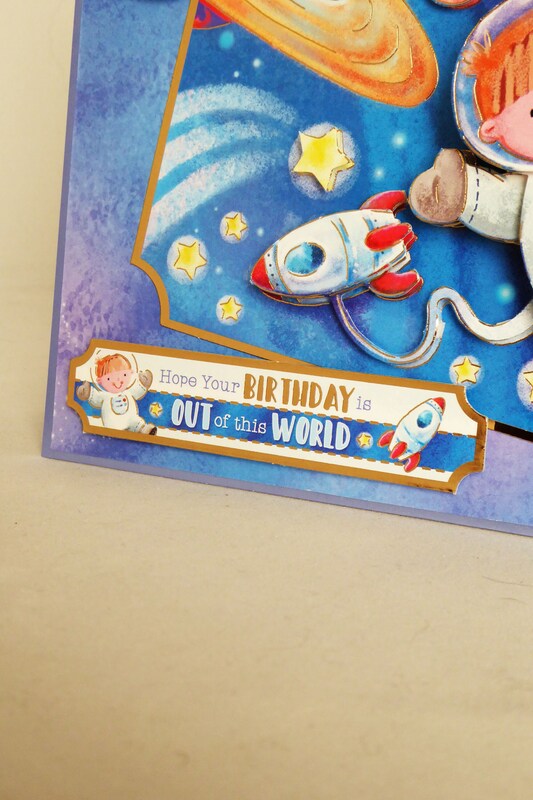 Another sentiment at the bottom of the card which says,' Hope Your Birthday Is Out Of This World'.